Canadian Prime Minister Stephen Harper has agreed to meet a delegation of First Nation leaders, following a 25-day hunger strike by one chief. 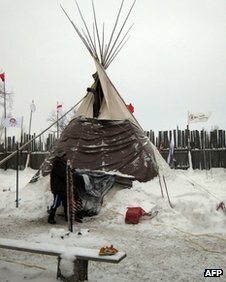 Attawapiskat chief Teresa Spence says she will join the 11 January meeting, but continue her fast until then. She began her protest against a budget bill critics say weakens native land rights and environmental safeguards. Three other chiefs have joined Ms Spence in her hunger strike.